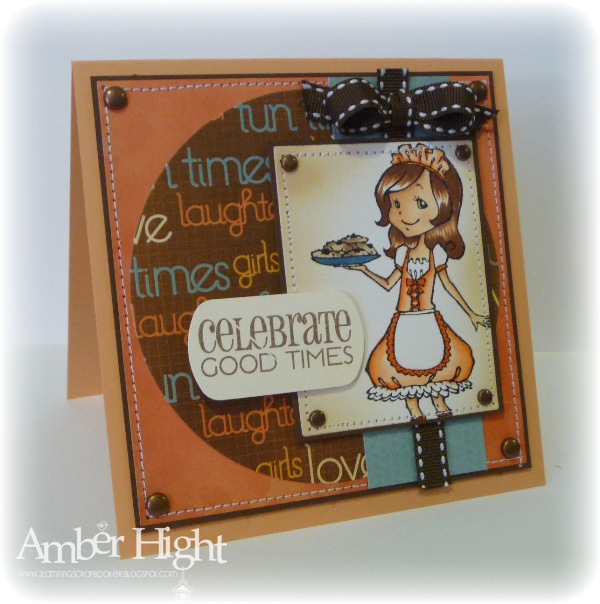 I used papers from the Joy Ride collection by Cosmo Cricket and colored Josh to match:) The sentiment stamp and number die are from PTI! 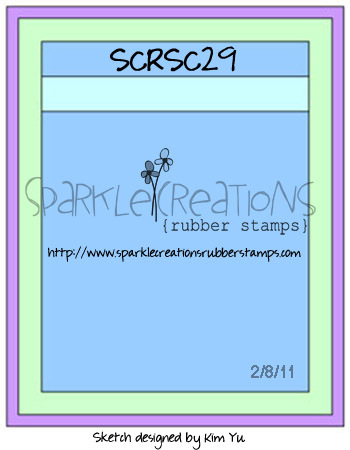 Here's my card, using stamps from Blue Skies!! To play along with us, visit the Forums! The VLV Week 4 sketch will be up on Friday morning! 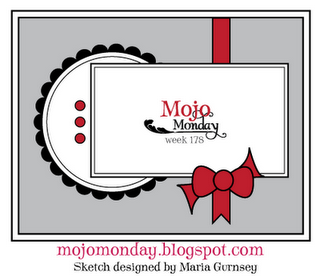 Since I had my Verve and Madeline papers out, I went to work on this week's Mojo Monday 178 sketch! Sorry about the HORRIBLE picture, it's rainy today and no amount of photoshopping could bring this picture to life, lol! To kind of "mute" the colors of the dp, I layered a piece of vellum top and sewed it down so I wouldn't have to worry about how to hide adhesive! I decided to give my cutie pie Chef Oliver a fashionable jacket! 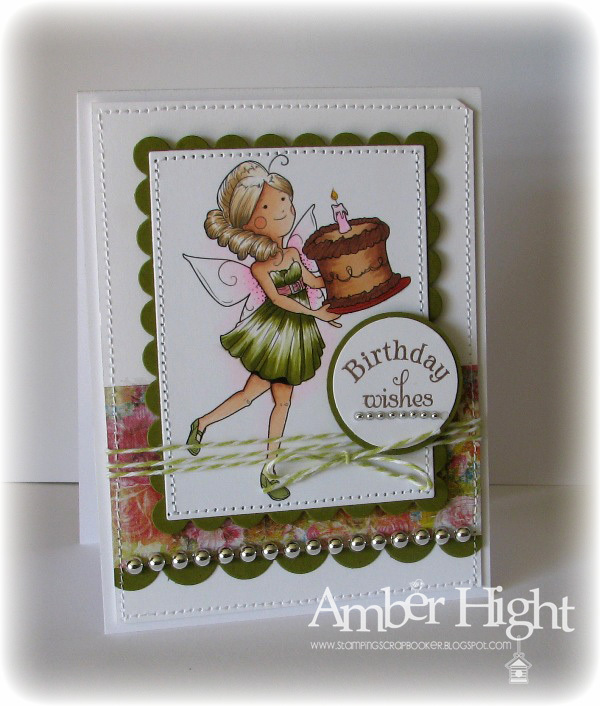 I used the Marjoline papers by Basic Gray for this card. 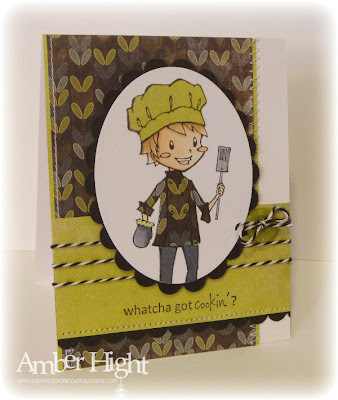 I love the patterns and thought any chef would be proud to sport a cooking jacket like this:) I stamped Oliver on Xpress-it Cardstock (OMG, first time using it and I *HEART* it! Coloring is so easy on this paper!) with Tuxedo black ink and then paper pieced his clothes. 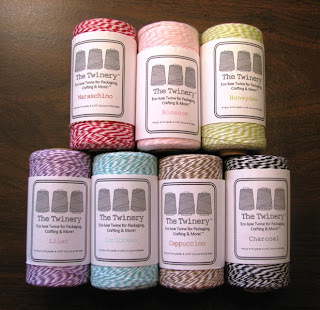 Bakers twine is from The Twinery and I also used a Simply Chartruese button from PTI. Go on over to the Sparkle Creations blog for details on how to play and what you could win!! Good morning! It's MONDAY and that means it's time for Mystery Monday! 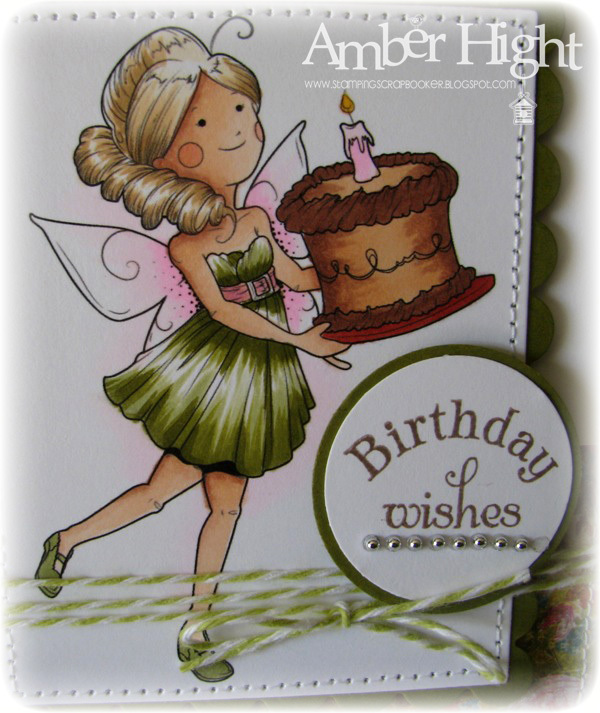 Peggy, our wonderful guest designer this month, has chosen THIS fabulous card by Pifa! 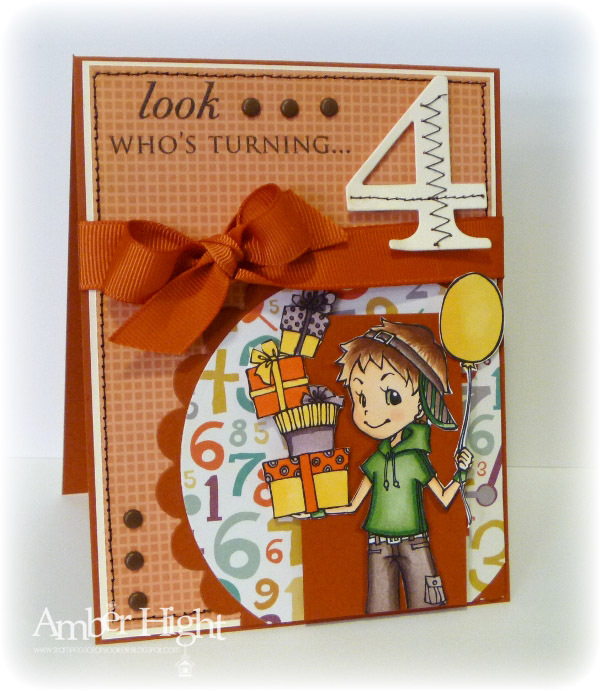 I just LOVE the shape of this card, but couldn't find a template or tutorial on how to create it, dang! 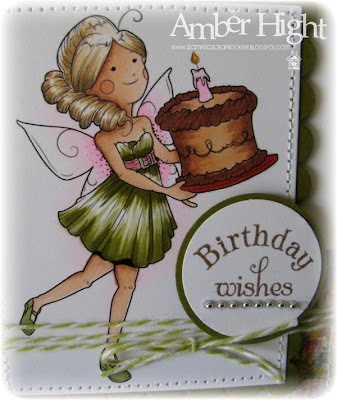 Here's my card using the Cupcake Anya digi stamp! 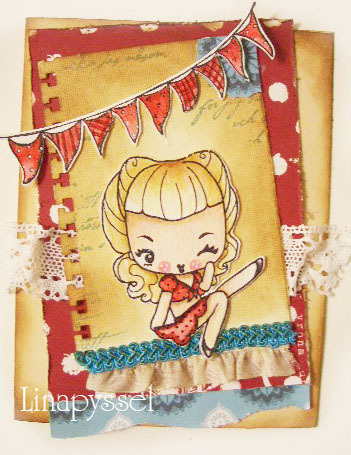 The card base is Vintage Cream and the cardstock colors are Sweet Blush and Scarlet Jewel (all by PTI). I colored Anya to match the patterned paper by Kaiser Craft called Hippy Chick! Fun polka dots, I love them! 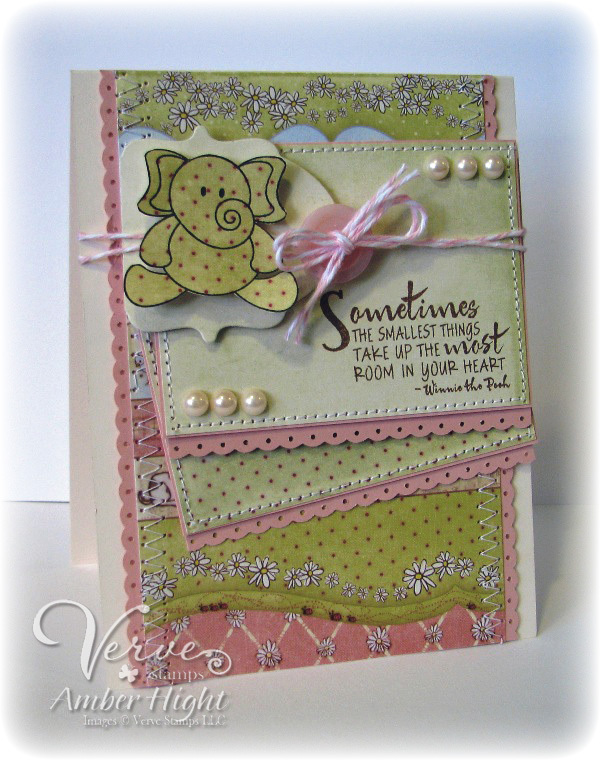 The sentiment is from Swirling Hearts by Verve! 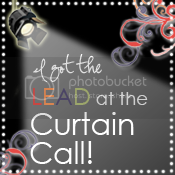 Check out the rest of my team mates blogs, I'm sure there are going to be some FAB projects! Hello there! Sorry I'm a bit late getting this up (for those of you who hop along right away! ), had a bit of a computer problem but all is well now! Today we are showcasing Sweet Treats Emily and all new stamps are now available in the store. We are also having a Valentine's Day weekend SALE, so use the code LOVE15 to get 15% off your order! The sale will run through Monday night at midnight EST. Click here or above on the Buy Stamps to start shopping now! Isn't she "sweet"??? I think she is! 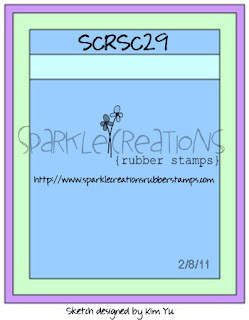 And as are ALL of Sparkle's stamps, she's super fun to color! 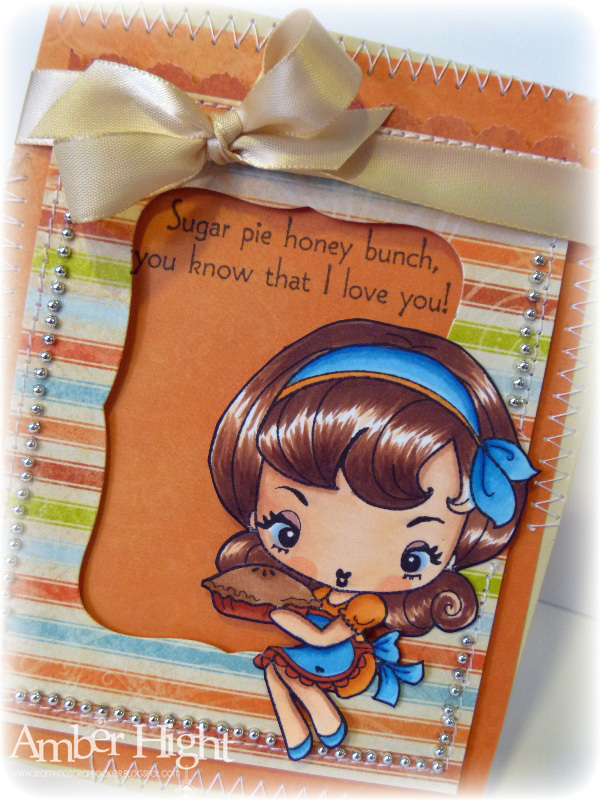 I colored her up with Copics matching this paper from Kaiser Craft called "Peachy Keen". The sentiment is from Verve's "Birthday Bash". 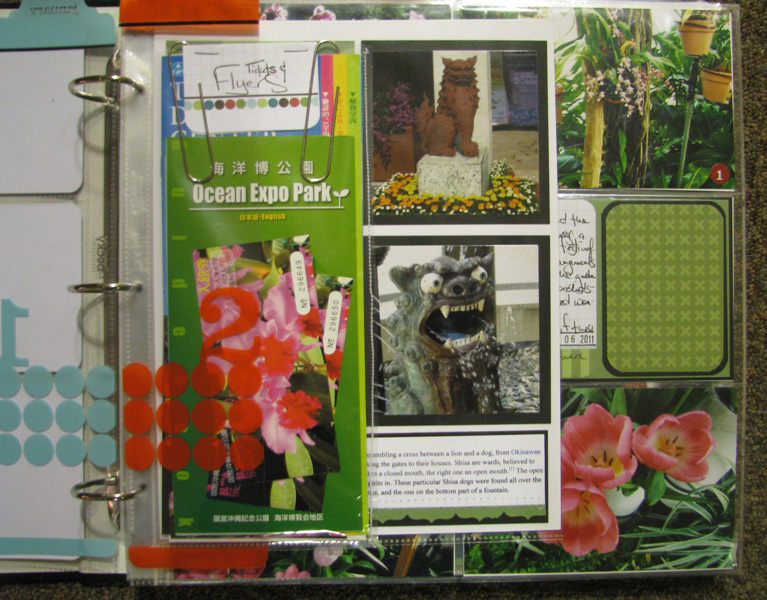 I used Karen's Sweet Sunday Sketch from last week for the layout! I may play around with variations on these basics, but those are what I stick with most of the time! 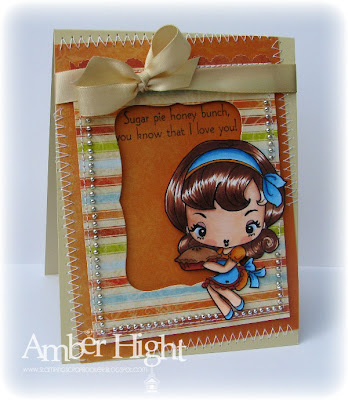 Be sure to visit all rest of the SCRS designers for more peeks of Sweet Treats Emily. We will be giving away a Sweet Treats Emily to one lucky person! For a chance to win, you need to comment on all of the designer's blogs (list below). Then head on over to the SCRS blog and comment on the Emily post. You have until midnight EST each day to comment. The lucky winner will be announced the following day! Hello out there! 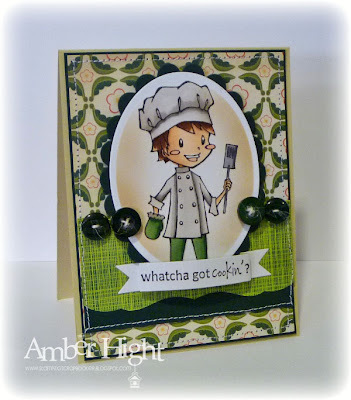 I'm here today with a sneak peek at a new stamp set by Sparkle Creations, called Chef Oliver! Isn't he CUTE? 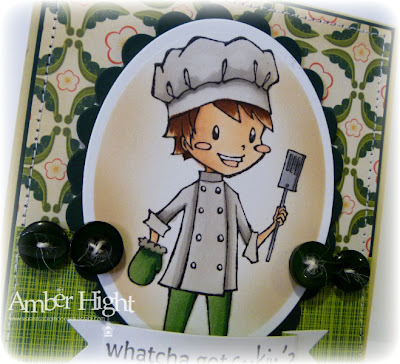 You gotta love a man who's comfortable in the kitchen;) I stamped Oliver in Tuxedo Black ink on Neenah cardstock and colored him in with Copics to match these papers from Garden Variety by Cosmo Cricket! I also airbrushed some "sponging" around the oval image AFTER cutting with an Oval nestie but BEFORE taking the die cut out of the die. I used E42 for the airbrush color. The sentiment comes with Oliver, love it! I stamped it on a banner flag from a PTI die. 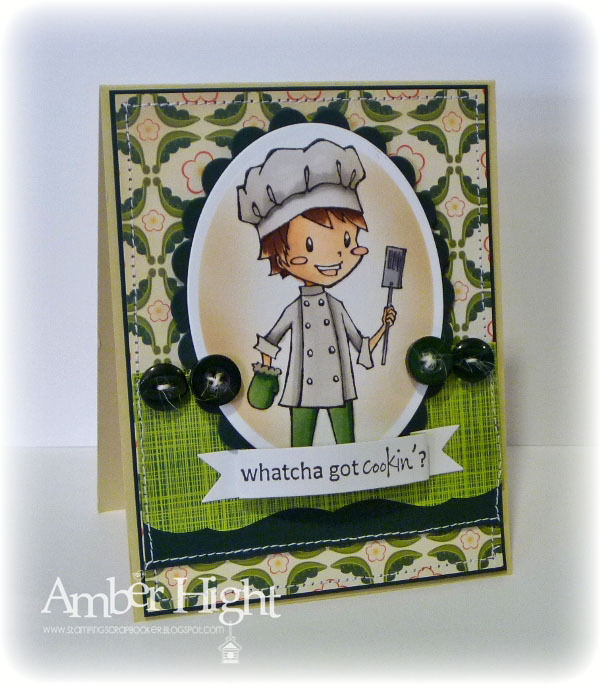 Be sure to visit all rest of the SCRS designers for more peeks of Chef Oliver. Sparkle will be giving away a Chef Oliver to one lucky person! For a chance to win, you need to comment on all of the designer's blogs (list below). 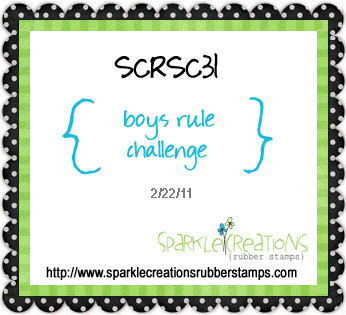 Then head on over to the SCRS blog and comment on the Oliver post. You have until midnight EST each day to comment. The lucky winner will be announced the following day! Thanks for stopping by today! Come back tomorrow for another sneak peek! Hey there everybody! 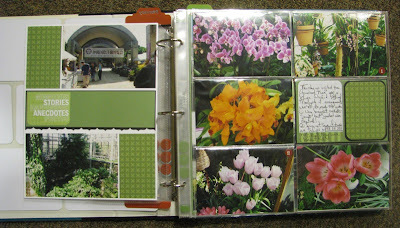 I'm back today, but not with a card...I'm here with my first few Project Life pages!!! That's right, finally getting back to my scrappin' roots! You may notice that my blog title is "The Stamping Scrapbooker", well whodathunk...she DOES scrap! LOL! Cover Page...just like the sample in the PL kit. I liked the look of it and saw no need to come up with something of my own, lol! Tickets and Flyers...I put the flyers and tickets in a regular 8.5x11 page protector and then sewed it close to the flyers so it made a smaller pocket, I love this! 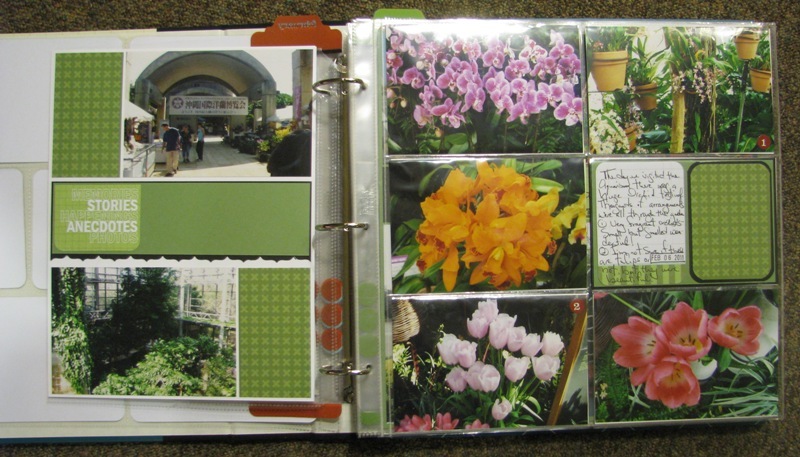 One thing I'm loving about this album so far is all the different sized pages, it's so fun to flip through! 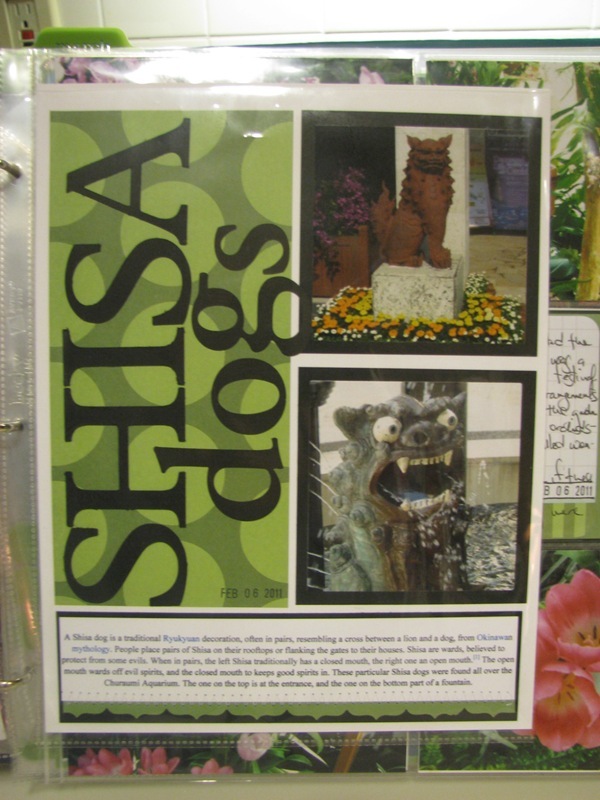 Shisa dogs layout...this isn't a part of the actual PL kit, but I'm throwing in alot of my own layouts in this album to document our last year in Okinawa. 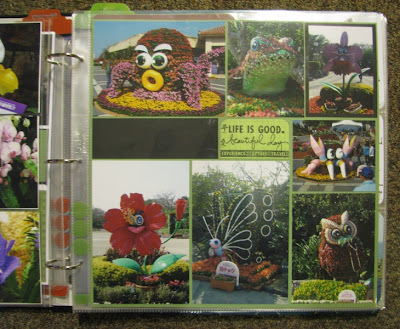 Flower sculptures layout...these ADORABLE flower sculptures are all throughout Expo Park. 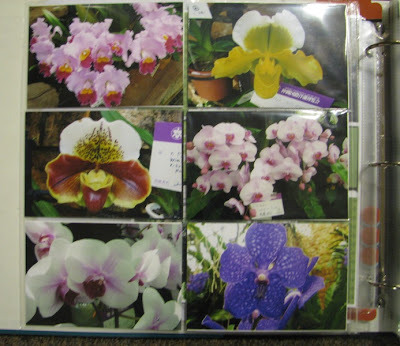 I took a picture of almost all of them, much to Billy's chagrin, lol! 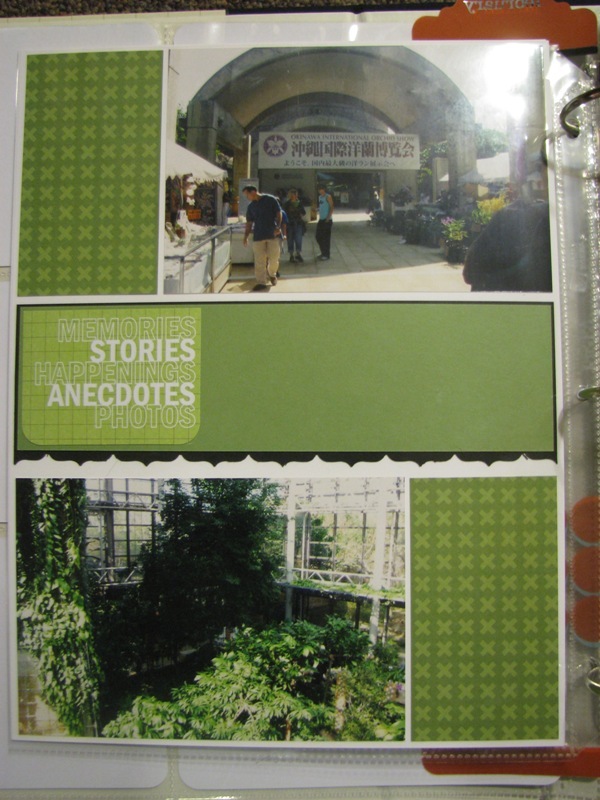 The back of this page isn't done yet, but it'll be a single page layout of the actual Churaumi Aquarium. Hoping to get that one done tomorrow! My first official PL page! You'll notice the little calendar in the middle two pockets. 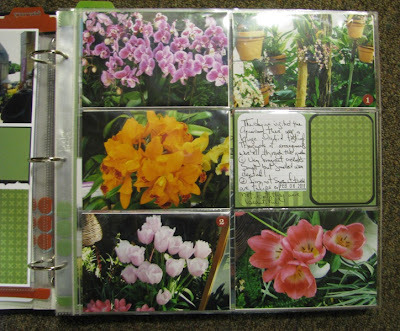 Those cards are in the PL kit and my plan is to have that same layout on the first week of each month. 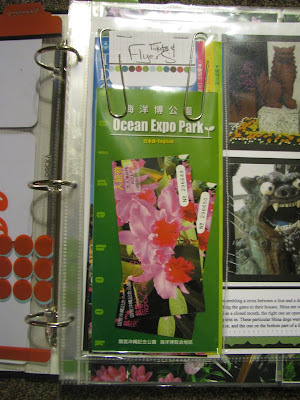 I'm writing down big events/trips/tours on the calendar cards so I know what happened in one quick shot! Upper right corner is some paraphanalia from the Annual Awards dinner we went to on Saturday night. I didn't get any pics of Billy and I, totally forgot, doh! The other three pics are of us at the aquarium on Sunday. Well that's all I've done so far! I actually worked on this almost all afternoon, it was bliss;) I do LOVE to scrap and am happy to be doing this project, it'll keep me scrapping! So I mentioned our printer went out, OMG what a pain that thing is! Actually, TWO printers! I have a small cheapy one I bought for like 50 bucks for my scrapbook room, mostly to print digi paper and templates and such on cardstock. Well that one stopped working and would make me restart my computer EVERY time I wanted to print! Our main printer in the office jams all the time and wouldn't get ONE piece of paper through without jamming. So I almost pulled an "Office Space" on the printers, but went to the BX and bought a new one instead! 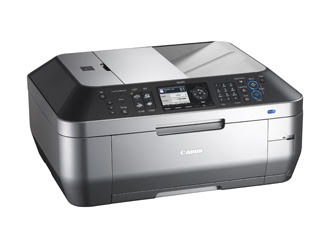 It's the Canon Pixma MX870! I absolutely LOVE this thing so far! 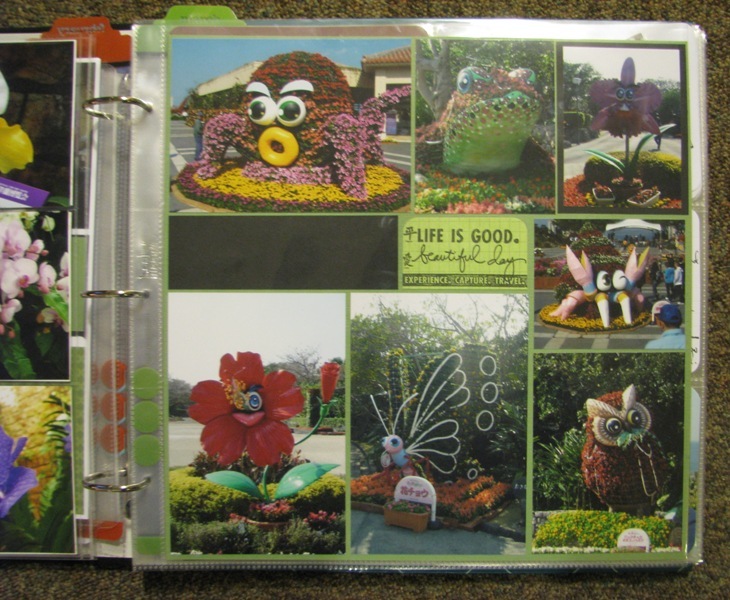 I printed out a few pics for my PL layout for this week and it was FLAWLESS! The pics are professional quality, didn't need any drying time, and the colors are soooo brilliant! 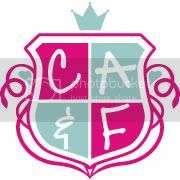 I love! 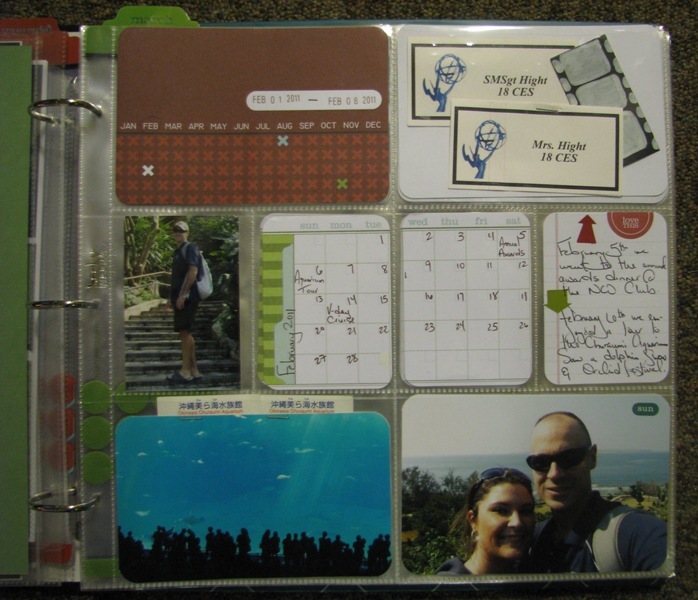 I really haven't played with it much besides printing the couple pics, but the reviews on it look good and that's a relief cause I didn't shop around at all, lol! Thanks for stopping by today:) I'll be around tomorrow with a card! Hey there everybody! 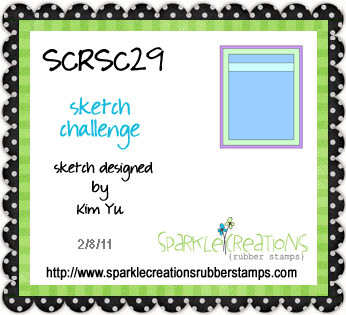 I'm back today with this week's Sparkle Creations Rubber Stamps Challenge #29! This week, we have a fun sketch! 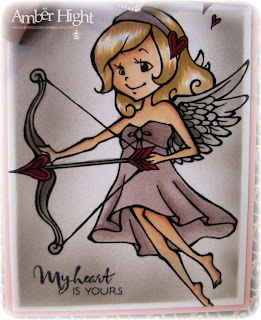 And here's my card using the super adorable Cupid Emily! 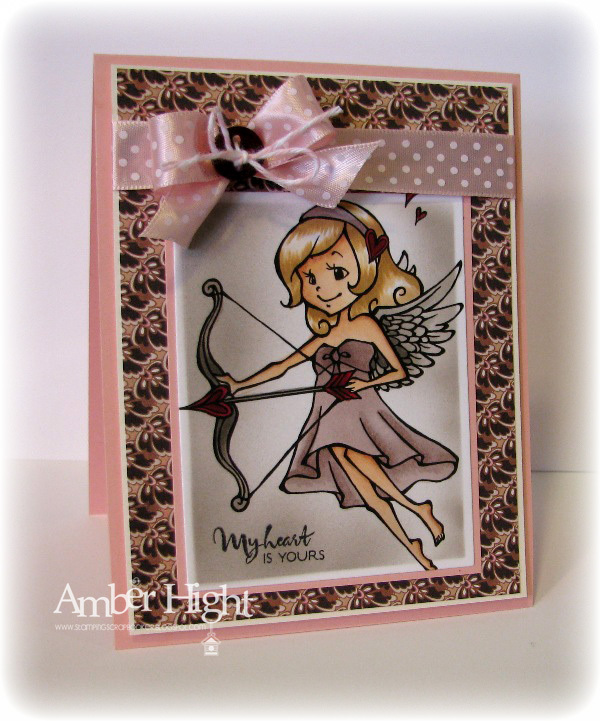 The card base is Innocent Pink by GinaK. Emily was stamped with Tuxedo black ink (Memento) on Neenah cardstock. Ready for more? Head on over to the SCRS blog and the rest of the DT to see what they did with this sketch:) Thanks for stopping by today! 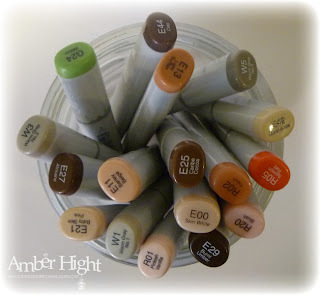 Paper Makeup VIP Blog Hop! 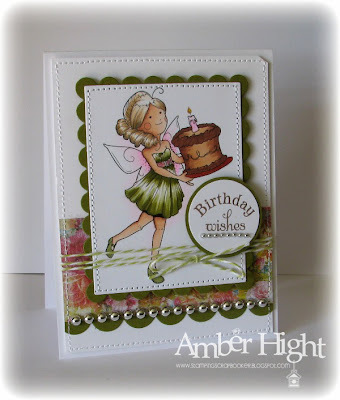 Paper Makeup Stamps is turning 2 years old! 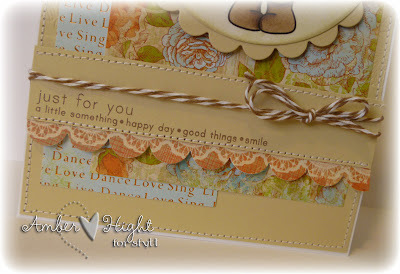 And to celebrate the occasion, they are having a super fun VIP blog hop with the theme "the things we love". 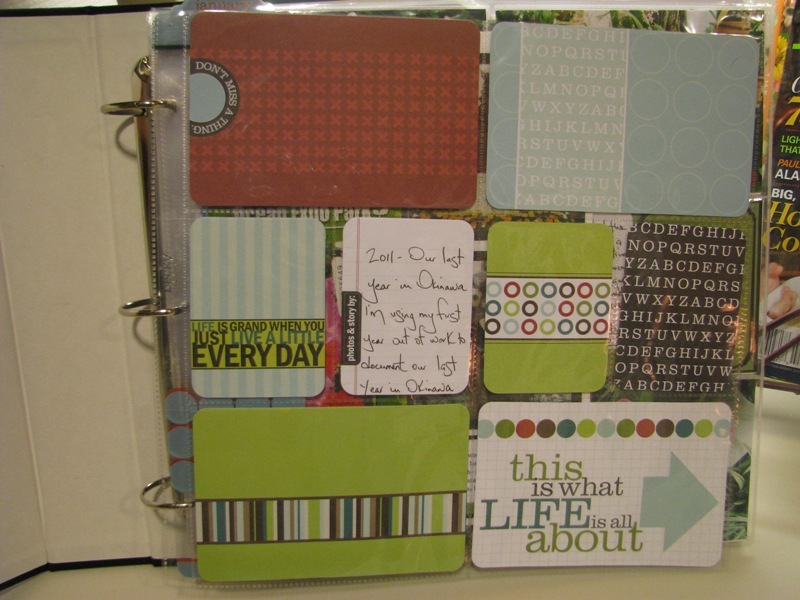 The entire design team invited special crafters to play along in this hop. 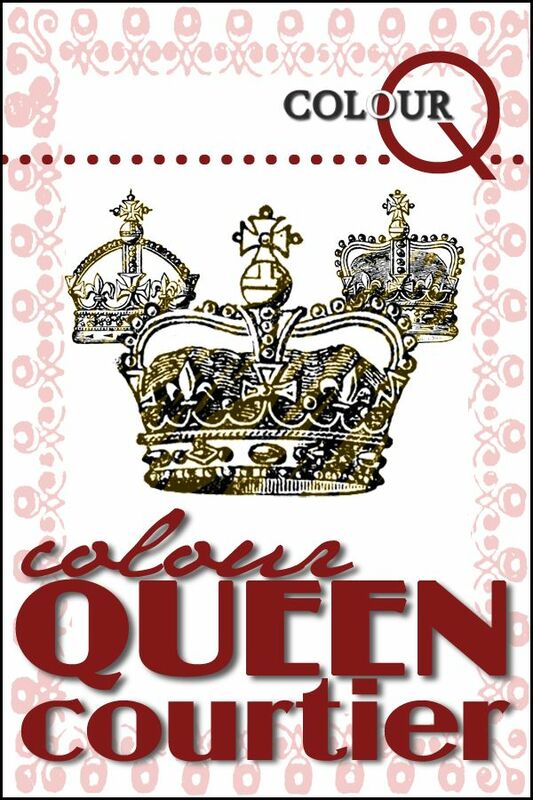 To see everyone involved, please go back to the Paper Makeup Stamps company blog for a master list as well as to enter your self to win a super fabulous prize! 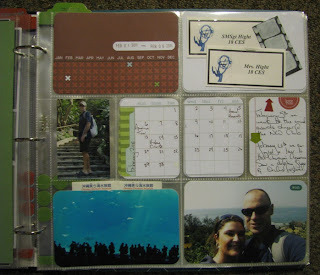 If you're coming here from Christi's beautiful blog, you're on the right track! If not, you might enjoy backtracking to the PMS blog to start from the beginning, I'm sure there is all KINDS of gorgeousness out there in blog-land today! My sweet friend Christi Snow invited me to be her friend on the hop, lol! I just couldn't say no because I love to feel wanted (bwahaaha! 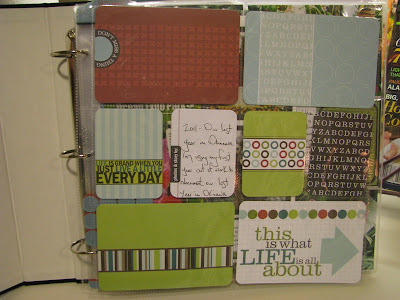 ), and I love everything she does with her PMS stamps and really wanted to play along! I wanted to use my Annalee papers (by Prima) with this sweet little fairy, so I colored her up to match it! The cake, it must be chocolate. It just MUST, lol! 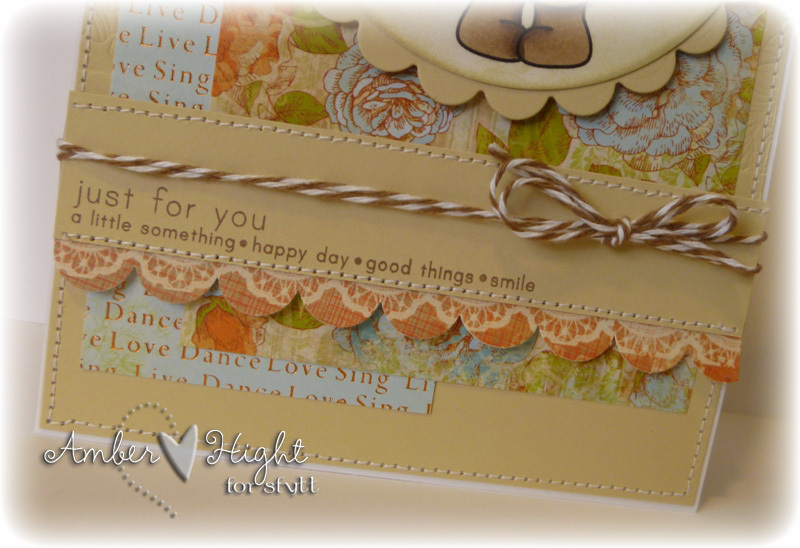 The sentiment is from Verve's Circular Sayings set and then I added some beautiful twine from The Twinery and some pearls from Recollections! 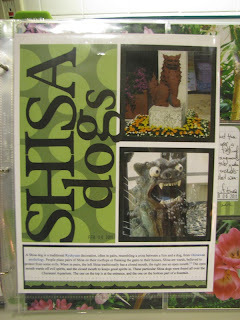 I wanted to thank Christi for inviting me on this hop, I had so much fun! And thanks to Katie (the owner) and the rest of the DT as well! Happy Birthday, PMS!! Here's the link list for the rest of the hop in case you get lost, but your next stop after me is Dawn!!! Happy Monday! How 'bout them Packers?? I really couldn't care LESS about football, but I was pulling for the Packers since most of my family is Packer fans! Too bad my brother-in-law and sister-in-law are die hard Steeler fans! I guess we won't be talking to them until the pain isn't so bad, haha! Today at Club Anya & Friends, we're featuring the WILDLY creative talents of one Lina!! Check out this beauty of hers! I used the super sweet Cheeky Cherry Pie! I colored her with Copics to match this awesome paper, called Devonshire by Kaiser Craft! Make sure you check out my wonderful teammates to see they're versions of Lina's beauty!! 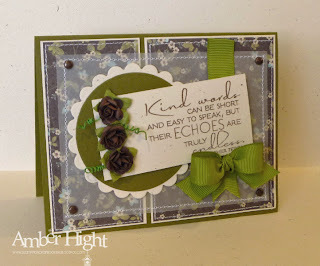 SFYTT-Sponsored by Anita B Stampin! Hello hello! Are you excited for a BRAND NEW SFYTT? I have a feeling you're going to LOVE this one! Pretty sweet sketch, huh? I'm totally crazy about this one! 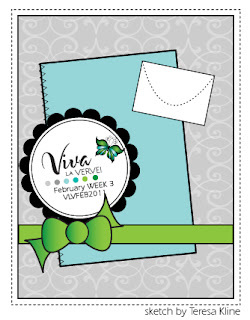 This month, we're being sponsored by a fun stamp company called Anita B Stampin! They have a lot of fun stamps in the store and I think they just had a new release, too! For my sample, I used the adorable "Bears and Bunches" set! Doesn't he have the sweetest smile? :) I also sponged the circle with Old Paper Distress Ink. The sentiment is from Simple Sentiments by PTI and the fabulous twine is from The Twinery! 1. 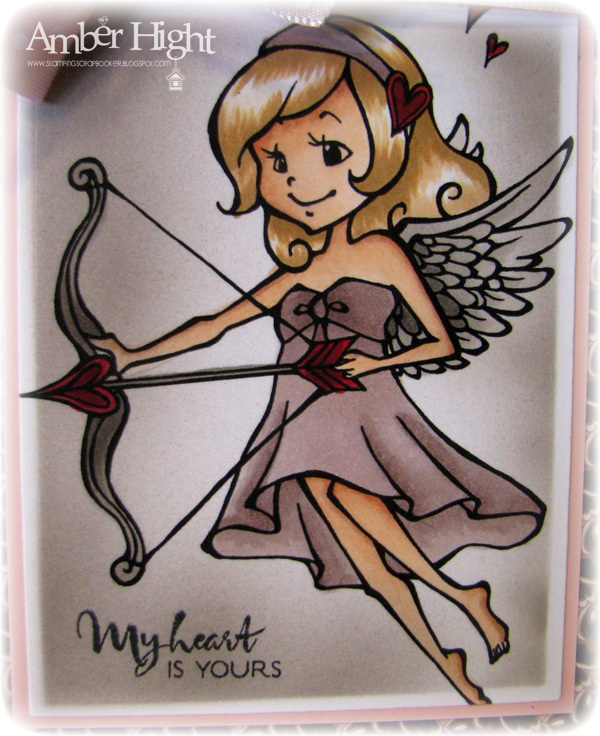 The SKETCH FOR YOU TO TRY will be posted on the first Saturday of each month on www.iheart2stamp.com at 8am EST and will stay open to participants until the last day of the month, unless otherwise noted. 2. This is for fun! Interpret the sketch as you wish and embellish as desired. 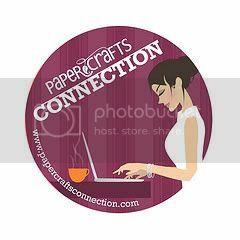 There are no vendor restrictions, but we would love to see you use the sponsor’s stamps! 3. Each month we will have a Designer of the Month that will be chosen from past month’s participants. 4. Come and play with us on each and every sketch! 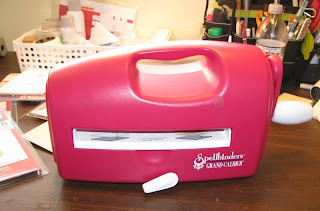 On Christmas Day 2011 a prize package worth over $200 will be given away to one very lucky and loyal SFYTT stamper that participates in EVERY sketch for the year. 5. To be eligible for the prize package, you must complete ALL of the sketches by each of the deadlines AND link your creation to the link system on that month’s sketch post (the first Saturday of the month). Everyone except for SFYTT Sisters are eligible for the prize package, including Designer of the Month and international players. 7. Check out the SFYTT Sister’s links just below to see more creations using this month’s sketch. The February Week 2 VLV sketch is up in the Verve Forums! This week, Amy is our hostess and has come up with the most amazing sketch! This one is full of possibilities! I used a couple of the new January PJ's, Emery and Smallest Things! Emery is so adorable, don't you think? He's really fun to paper piece too, although I think I gave him Chicken Pox with the paper I pieced him with, lol! 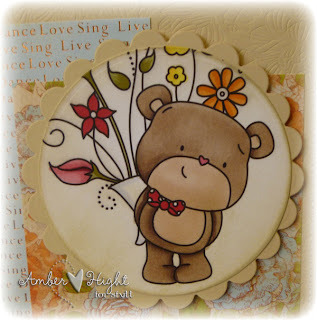 I layered Emery on a piece of paper I cut with my Vintage Oval die, so fun! I hope you can come over and play with us! Verve stamps are NOT required so if you don't have any, we still want you to play with us! I'll be back in a few hours with the new February SFYTT!!! This is one of those cards I created, just for fun! I love it when my mind is free to create whatever I want WITH whatever I want! It's a fairly simple card, but I didn't want this one too busy. 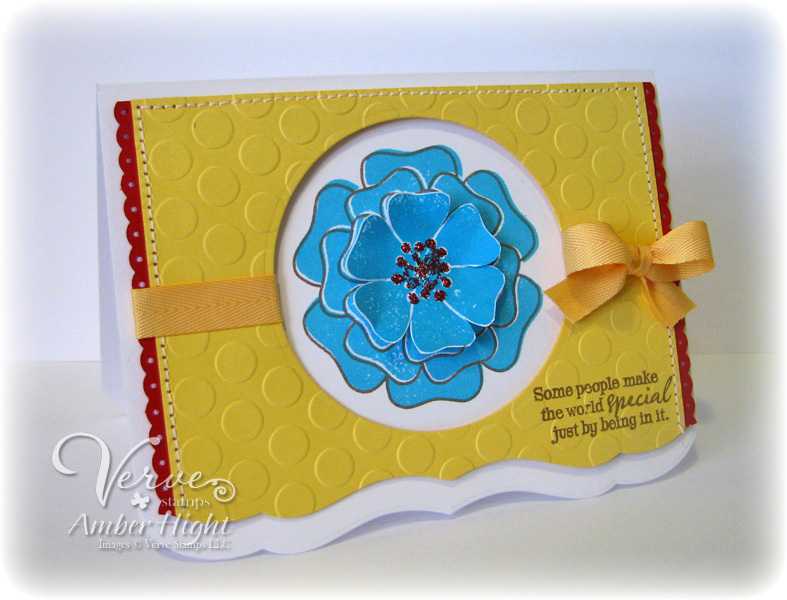 I started by cutting a circle in the Harvest Gold cardstock, embossing the gold cardstock with my Seeing Spots Cuttlebug folder, and then stamping the flower from Great Friend in Tempting Turquoise ink. I stamped it off again and then cut the middle flower out and popped it up with on a dimensional. I cut a couple scalloped edges with my EK Success edge punch and then wrapped some Harvest Gold ribbon around the card front. The Harvest Gold piece was popped up on dimensionals as well. Lastly, I stamped a sentiment from Feel the Sun. OH! I forgot to mention that the decorative edge of the card base and the Harvest Gold cardstock was done with PTI's edger die. So I also had a SUPER happy mail day today! Wanna see? 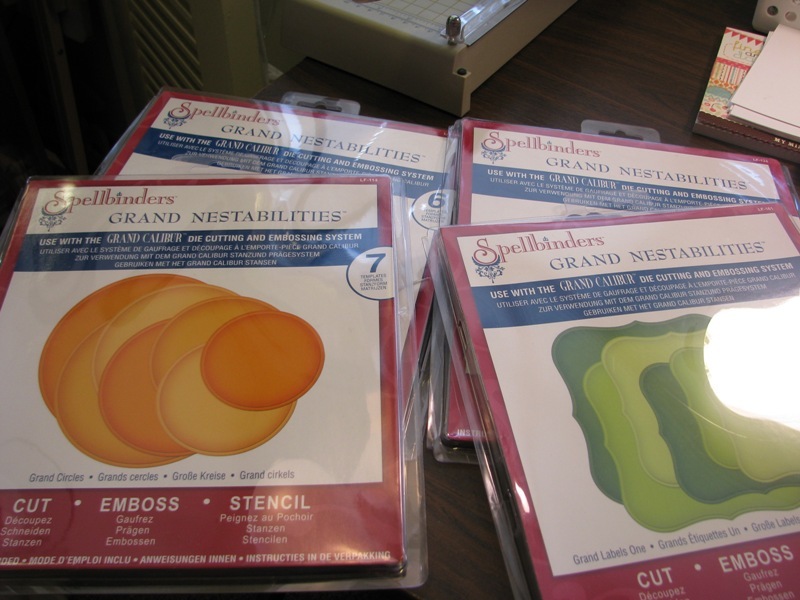 I also got four Grand Nestabilities dies: Circles, Scalloped Circles, Labels 1 and Labels 4! 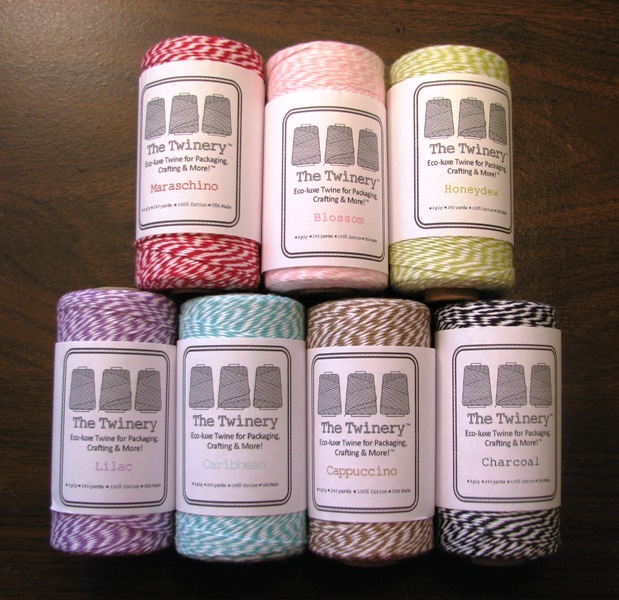 Some FABBY twine from The Twinery!! Aren't all those colors gorgeous?? Totally makes me want to go stamp, lol! February's stamp of the month is Sweet on You! 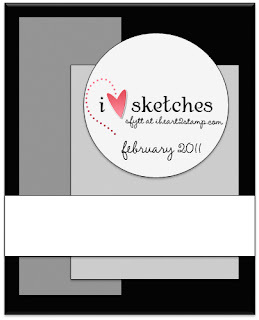 During the month of February, you can get this adorable stamp set for 40% off!! Click HERE for more SWEET DEAL$!!! The Verve Inspirations Team just had their first Inspirations blog hop! 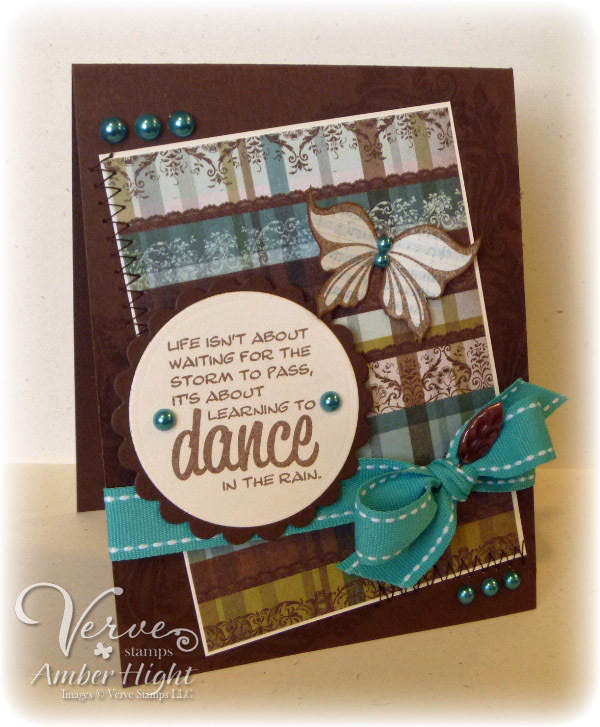 Click here to start at the Verve blog and hop through to see all the inspiration from the inspiration team! They're using our old favorites in new ways and I can't wait to see! Thanks for stopping by today! Remember, a new Viva la Verve! sketch is going up tomorrow! I'll be back here with my sample:) See you then!